Just a few more hours until grandson Walker Vincent Skupien arrives! We are blessed with a son and daughter-in-law who welcome us into their home during this exciting – and nerve-stretching – time. Can’t wait to meet this new little one. He is scheduled to make his debut tomorrow, May 12, at 8 a.m. via Caesarian section. Husband Walter and I will be on the way to Louisiana this afternoon. His mom Katie is amazing. 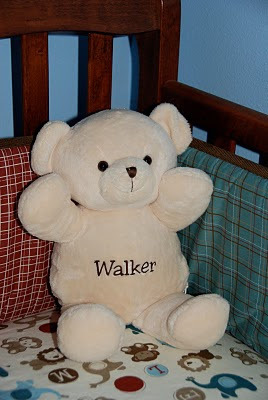 Her blog, The Daily Skup, has kept us all up-to-date on preparations for Walker, both at home and in hearts. The photo above is borrowed from Katie's recent post. I'm so excited for you! How nice that you get to go and be there when little Walker arrives! I'll be waiting for a pic!! !